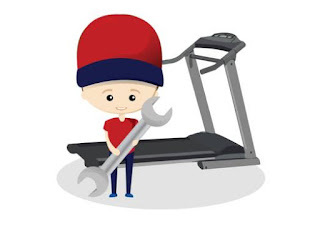 • After reseting the treadmill after an error message lower board needs certain time to recover from the error. If the treadmill is switched on too soon the lower is still busy and can not communicate with the user interface. • The power board is in software update mode and does not function until the software has been updated. If updating of the power board does not succeed after at least two trials and the cable connectors (and connectors’ pins) are checked to be OK, the power board needs to be replaced.